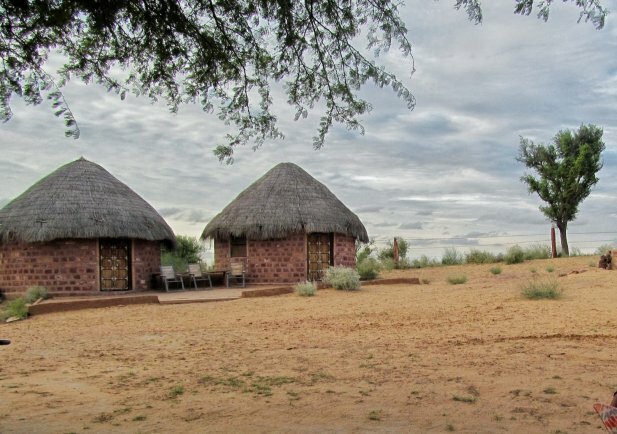 Once you are done with city showbiz and hectic schedules, move to places like Barmer, Nagaur, Kuchaman, Jhalawar or Sawai Madhopur which are perfectly offbeat places to visit in Rajasthan, showing unique culture and out of the box aspects. Traverse the melange: Diversity of India is so huge that you may not be able to explore the whole of it during your lifetime, yet ToRoots is posing as a mediator to connect you with the hidden tribal zones. While being on such a trip, you may be able to reach out to new people, their customs, languages, costumes, food and what not! Live life local style and make Memories: Criss-crossing your paths with some beautiful souls is a charming scene! Stay in the homes the way they live, play with the kids, learn their daily routine or rather help them in their everyday chores. You will surely be forgetting where you have come from with natives and consider tribal zones as major tourist attractions in Rajasthan, whether they are one or not. Attention grabbing century old traditions: Places like Bishnoi villages have followed a tradition of saving trees since centuries, in more than dozen methods. Whereas a chance of traversing the blue pottery making can be fetched in deep down villages at one end, the handicraft and textile making is another classy touch. Art, architecture, customs and culture remain a crucial part in many of the villages, and ToRoots help you to catch them closely according to your interest. Considering the largest state of India, there have been more off beat places in Rajasthan than ever thought of. From East to West and North to South, these locations are somewhere settled on the plains, mounds or the hills, giving an extravagant outlook to the visitors. We would love to share the glimpse of some of the few experiences out here. Ajabgarh Village: Popularly known as one of the most spookiest village of India, it owns Ajabgarh fort and Bhangarh fort in its territory. Along with places to visit in and around the zone, we let you indulge with the locals with whom you can interact your stories, taste home cooked meals, stay overnight in neat and clean huts and cherish the way of life differently. Rusirani Village: Get close to real India and its culture with a visit to Rusirani village. Awesome views, historic construction having engraved carvings and hearty people are all a combination of this mystic village. Moroever, Rusirani is becoming one of the major tourist attractions in Rajasthan and travelers are flocking here to get amazed with rural touch. Mahansar Village: Another tribal belt of Rajasthan leads its path to Sikar zone where you will be meeting locals having heritage connections to earlier than 17th century. Observe the old Havelis and their golden charm! If you love to taste variety of liquor around the world, you shall not miss homemade ones here which are in their customs since ages. Osian Village: Lying in the surrounding of Jodhpur, you will be marveled with the architecture of this location. The intricately carved temples, planned colonnades and the dusty look in the sunshine is just perfect for a time away from city life. The touch of religion and culture makes it more special to the locals. And being here is no less than finding oasis in the desert zone. Purushwadi Village: Get an authentic village experience with a visit to Purushwadi village in Maharashtra, famous for its fireflies festival every year. The tribal village is known to be protected by the local Goddess Zakubai who is been worshipped since years. Interestingly, meet here with the beautiful souls, stay in tents or huts, which are all well done in neat & clean manner. Emotional attachment develops with the destination by its own as you reach at the steps of these rural hidden gems of Rajasthan. This happens because of its people who are just graceful and treat you in a love filled manner. When you dive in their lifestyle, all you get is simplicity, which is enough to spend whole life. Be it a solo trip or a family getaway, the treat to offbeat places in Rajasthan is a wonder. All is Safe and Sweet: Plan to stay in safe and hygienic spaces, taste delicious meals and cheers high. All that goes well, ends well. So, make memories for life and fall in love with the real India.